With smoothies, anything goes! Pick and choose ingredients, and mix them up in the blender. Write down your combo and give it a name! Did you know? Almost any frozen fruit can be turned into a smoothie and you can freeze any smoothie leftovers into kids healthy popsicles! Try making an extra batch of smoothie mix. Drink one, freeze one. Try that with our Smoothie Pops recipe for a tropical treat. Check our “Frozen Treats” newsletter for more summer goodies. 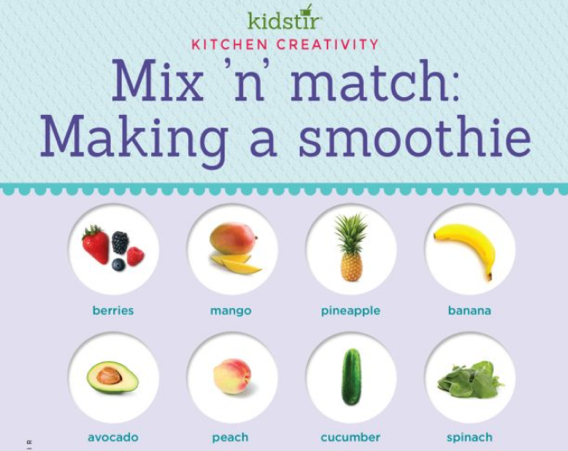 We’d love to offer Kids our “Make a Smoothie” infographic for you to share on your blog. Just select and copy the code snippet below and paste into your next blog post. 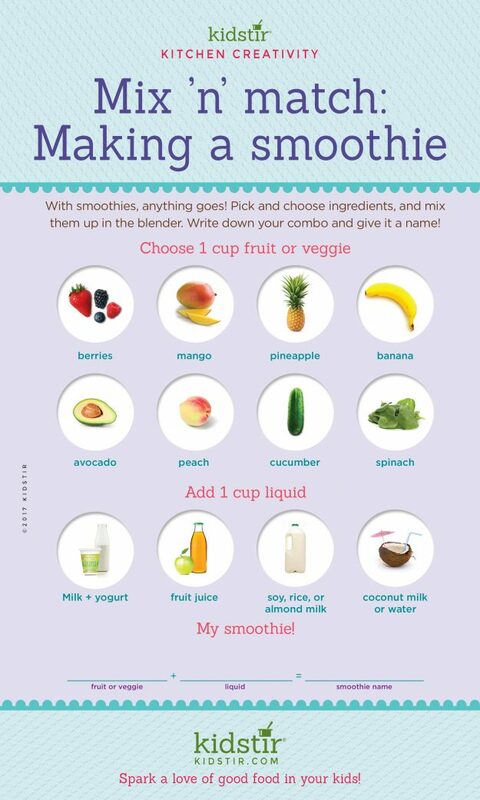 We’d love for everyone to share this page on social media or email using the buttons below so you can share our Kids Make a Smoothie Infographic!